Published by Eurasia Review, USA. ​Purchase your copy on this link - here. 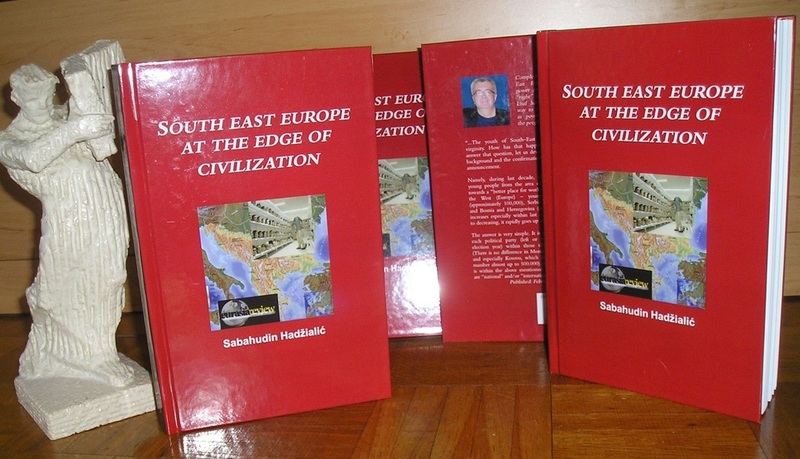 While Reading Sabahudin Hadzialic’s “South East Europe at the Edge of Civilization,” a book published in 2016, United States of America draws the attention of the “developed North” towards the Balkans and its endemic obstacles, artificially created barriers and prevailing apathy, corruption and organized crime. The very crime and drug trafficking that is even helping to finance the operations of the Islamic State in the Middle East and the Levant. 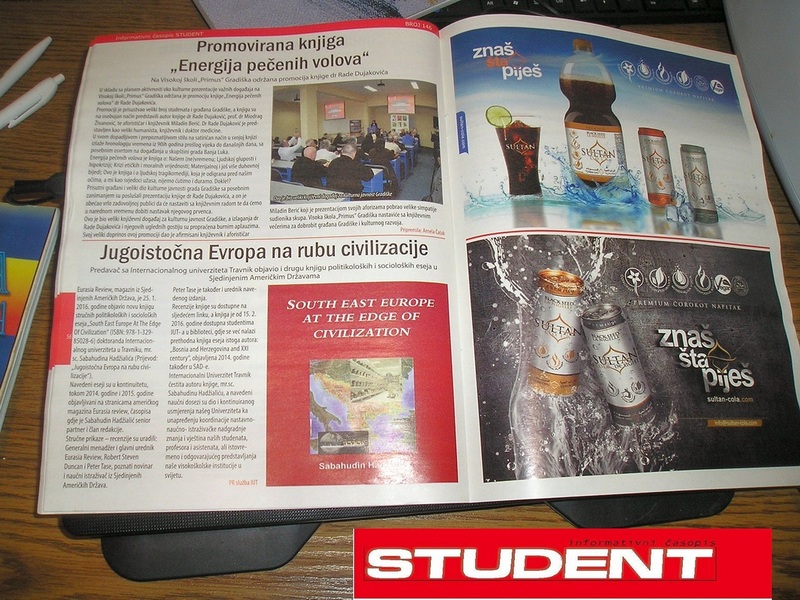 In his essay entitled “”Create Problems and Then Offer Solutions“, Sabahudin depicts the exact stereotype of Balkan politics by sharing with us, the reader, a high level of corruption in Croatia, at a time when Zagreb's mayor was being investigated for corruption. Sabahudin emphases: “The story of the Mayor of Croatian capital city in 2014-2015, Mr. Milan Bandić, instead of being just a problem of the Court and Prosecutor’s offices, exactly thanks to the two methods mentioned above became a problem nationwide. The country is full of corruption, with hatred being expressed against others who are different, nepotism and legally elected thieves are rife”. Similar corruption cases such as the one of Mr. Bandić in Croatia are so spread not only in Zagreb but throughout the Balkans: from Stara Planina Mountain range, Botev Mountain top, to Durres, the city where Via Egnatia begun to take shape in the II century B.C. Hadzialic’s book takes us in an adventurous walk, through the dark woods of shame, unveils the characters of all those corrupted personae’s who would not get along, even for a split of a second, with Dirty Harry Callahan, had he been around in the Balkans, especially Albania, Kosovo and Bosnia and Herzegovina. Just like Scorpio, a character in the very same action thriller movie entitled “Dirty Harry”, politicians ripe the fruits of such an infinite nepotism that they enjoy within the corridors of rotten justice systems that operate in their respective countries. 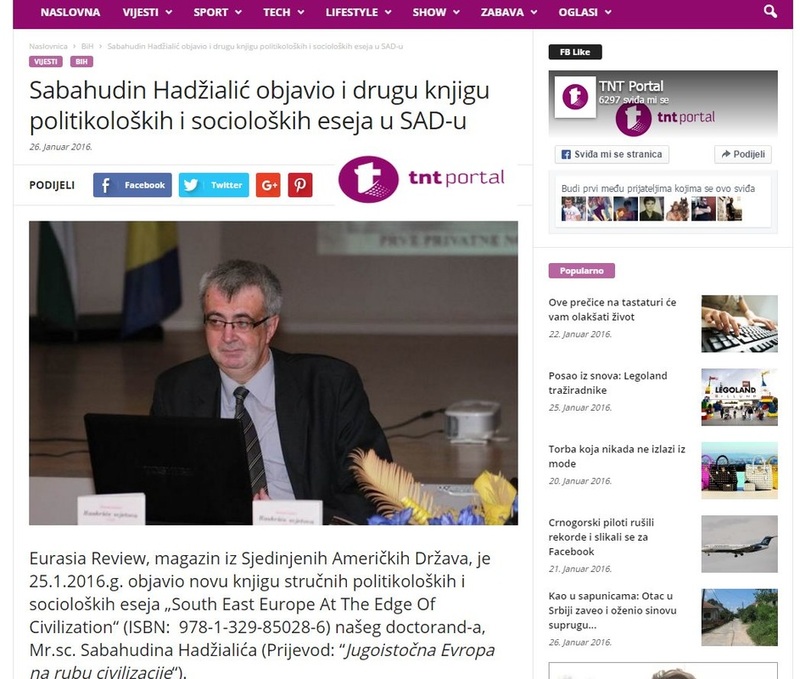 In order to tackle such tragic social depressions in the Balkans, there are required conscious citizens like all of those reading the following lines of Sabahudin Hadzialic, as well as consolidated European Union and locally established institutions that would embrace the effectiveness of “Dirty Harry” in the war against crime, human trafficking, corruption and above all the decades long abuse with public money. Societies of Bosnia and Herzegovina, together with the other ten nations of the Balkans, must commend the courageous initiative of Sabahudin Hadzialic. Hadzialic for breaking apart the yolk of outrageous injustice in this ancient part of Europe; his courageous writing and down to earth examples bring South East Europe much closer to the far distant audiences in the Americas that have no reliable information about such a socially backwards but a minerals-rich region of the world. 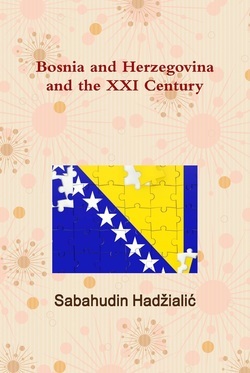 Sabahudin, perhaps the only living visionary and Kantian writer of Bosnia and Herzegovina, is a genuine ambassador of the Balkans who strives to improve the lives and welfare of his fellow countrymen and beyond, by effectively employing his powerful words and breathtaking concepts that could certainly lift up the Balkan nations from the dark abyss of submission, nepotism, corruption and their unscrupulous politicians’ greed. 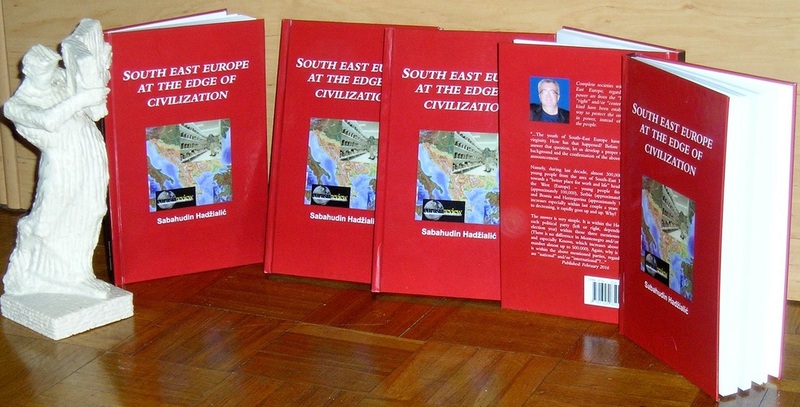 One cannot doubt the passion behind “South East Europe At The Edge of Civilization,” for this is the work of a passionate being, a man who has suffered – and is suffering still – for his country and for the dashed illusions of millions who were led to believe they were entering into a new era of a Promised Land. This New Land, as observed under the literary microscope of poet and author Sabahudin Hadžialić, builds upon a Miltonesque approach that identifies the hopes and aspirations of a populace that has been ravaged by unspeakable violence – only to see the “Paradise Lost” as the result of the mounting sins of those very persons who had promised deliverance. In this respect, these saviors – and here Hadžialić is quite clear in naming them and their sins – it would appear are actually quite the contrary, and each has a special place reserved in one of the Nine Circles of Hell, as elucidated by Dante. When reading “South East Europe At The Edge of Civilization,” and Hadžialić's descriptions of the offending politicians and key regional players, one can almost imagine placing each of the described illustrious players in their own particular Circle within the “Inferno”: Limbo, Lust, Gluttony, Greed, Anger, Heresy, Violence, Fraud and Treachery. 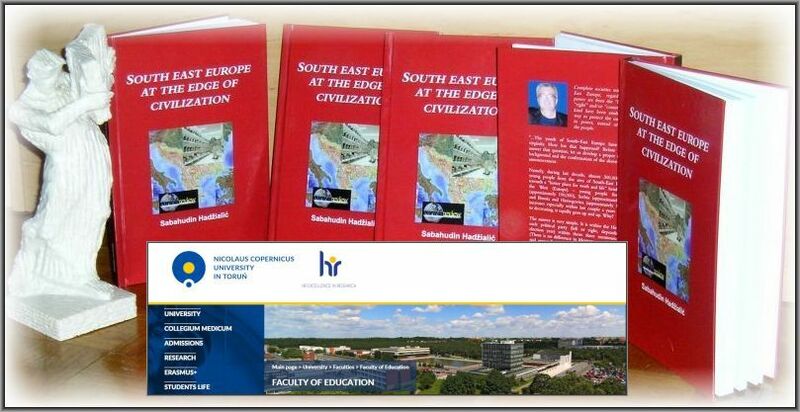 Hadžialić's distinctive style in writing “South East Europe At The Edge of Civilization” draws upon his background primarily as a poet and essayist – he has published 16 books of poetry and prose (stories, aphorisms, stage plays, novels) and essays in Bosnia and Herzegovina, Serbia, France, USA, Italy and Switzerland. Born in Mostar, Bosnia and Herzegovina, when reading Hadžialić's essays one cannot but feel the almost guttural love he experiences for his country – and the subsequent pain for the failure of the region to live up to those earlier promised expectations. It is almost as if Hadžialić embodies the essence of being Bosnia and Herzegovina's jilted lover. In this respect, it could be all too easy to just classify Hadžialić as a tortured soul. And, yet, that would be too simplistic, for Hadžialić's writings aren't about just casting dispersion upon the power elite as a result of unrequited love. 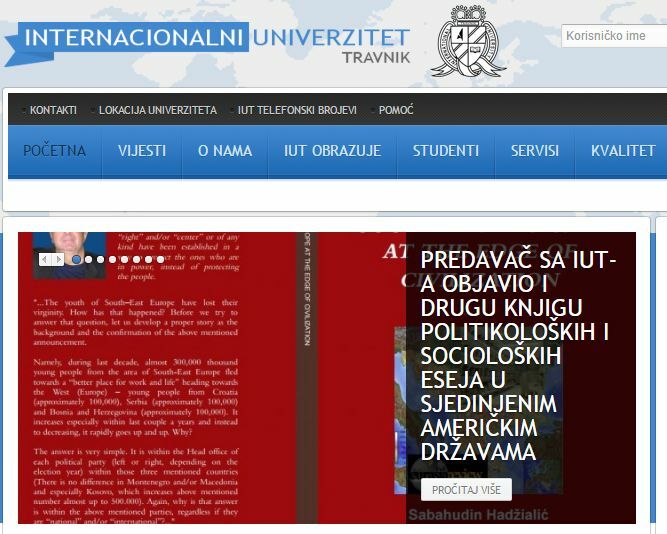 Indeed, it is out of a more profound love that Hadžialić delves and cuts with his literary knife to expose societies deeper ills, in the hopes that a creeping cancerous growth may be amputated. And with his findings, we too must share the pain from these surgical cuts. For indeed, the blame doesn't solely rest with those in power – no indeed, here Hadžialić is quite clear. Ultimately, the blame must rest soundly upon our own shoulders, for we are the ones who are are responsible for the perversions of justice, we are the ones who have allowed such a system to be created by our willful ignorance and complacence. Indeed, if we are honest, we must ask to which Circle of Hell are we condemning ourselves? And at the end of the day, isn't this really a message of Love – after all, Hadžialić is asking us to save ourselves. Robert Steven Duncan is a journalist, columnist and public relations and new media consultant. Besides being widely published, he has been involved in the launch of multiple online ventures and the board of various media and trade organizations, with activities in Europe, the Middle East and Latin America.